Laurence Libin. AMERICAN MUSICAL INSTRUMENTS IN THE METROPOLITAN MUSEUM OF ART. New York: The Metropolitan Museum of Art and the W. W. Norton Co., 1985. Hardcover with dust jacket. Very Good condition. Light wear to dust jacket with slight discoloration at top right corner on the front, and light wear to bottom edges on the back cover. 224 pp. 281 illustrations including black and white and color photography. 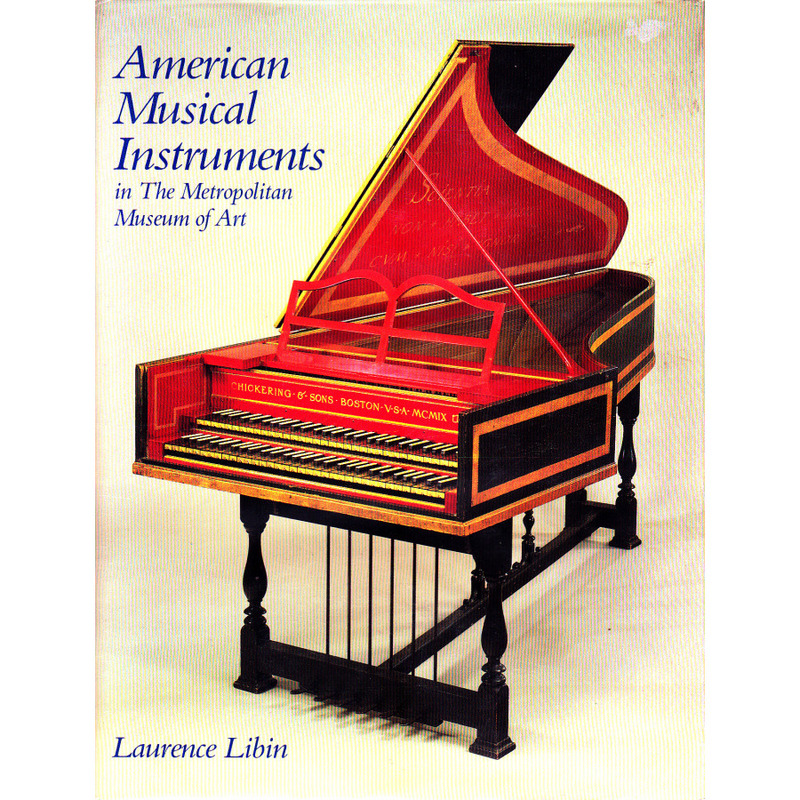 Contents include chapters on Noisemakers, Toys, Percussion and Miscellanea; Winds; Strings; and Keyboards and Automata.The book concludes with Notes, a Selected Bibliography, an Index of Works by Accession Number, and an Index. Great photographs showing entire object with comparisons and often a detail of certain functions and/or makers' marks. Great book for a musician or someone who has an interest in the subject. Measurements 8.5" x 11" x .5"